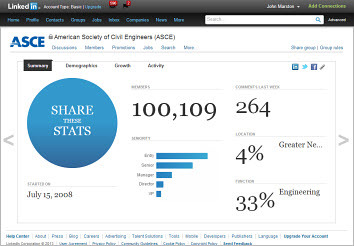 ASCE’s group has grown steadily since mid-2008. 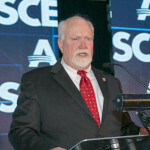 ASCE achieved a significant milestone in May when the Society’s LinkedIn group page passed the 100,000-member mark. The group page, which is growing at a pace of 200 to 300 new members a day, has become a valuable source of information and discussion on a wide range of topics in civil engineering, from how to find a job to mentoring young engineers to posing challenging technical questions. Mathari says that the site has become so popular that, by exceeding the 100,000-member LinkedIn limit, he had to apply to raise the member limit. “One of the things that makes this group page so popular is that is easy for members to get information on certain engineering subject areas,” notes Mathari. “Also, one of the great advantages of this group page is we not only have members from the U.S. but internationally. So it is really interesting to read the discussion threads and see how people in different parts of the world approach a problem. Joining the ASCE LinkedIn group is free, and all anyone has to do is apply. The site has 3 different kinds of postings: general discussions, jobs, and promotions. A member can post a new topic on the discussion page or just join an existing discussion. “One of the most popular areas of discussion recently has been women in engineering,” says Mathari. 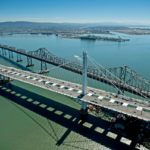 “Another area has been on the challenges to the civil engineering profession. “There have been a lot of discussions on how you can improve civil engineering, how to find your first job, how to get a promotion, what professional development opportunities are out there, and ways to increase public involvement among civil engineers. Then there are technical questions such as: what is the life span of a building, vibration propagation in composite columns, do steel bars in concrete cores increase or decrease [their] strength, what project management software do you use, and culvert design versus pipe design. According to statistics accumulated by LinkedIn, 61 percent of the members of the group list themselves as civil engineers and 13 percent list themselves as working in the area of construction. The greater New York City area has the highest continental geographical representation at 4 percent, and the members from United Arab Emirates are listed as the largest international participants at 2 percent. A total of 34 percent of the members are in entry level positions and 24 percent list themselves in senior managing positions. In terms of area of practice, 33 percent are engineers in the field, while 4 percent are in education and another 4 percent are in research. Mathari attributes the group’s popularity and success to a number of rules that he adheres to. “The first thing is to understand the strengths, weaknesses, and limitations of the social media platform. You cannot do everything with LinkedIn,” he says. “Then you have to come up with a vision that matches with the vision of ASCE itself and formulate the rules and guidelines based upon that. The rules have to be flexible and accommodating but strict enough to make sure that discussions are dealing with something related to civil engineering. “Once you do that, you have to manage the group to make sure that the quality is maintained while focusing on growth. You have to treat everybody [who participates] with respect, whether they have a senior management position or are an entry level employee, and also filter messages that can be seen as offensive or harassing.